We saw a lot of animals on our two week road trip up to Canada and we saw a lot of animal tracks, too. The Babe started asking about the paws, hooves, and feet of all the different animals we saw. I thought what better way to teach her about the animals of the Pacific Northwest than with foot (or flipper) prints. Most of these animals we saw in the wild. (OMG! A bald eagle just flew in front of our car!!) But a few of them, like the black bears, we only saw in the zoo. I’m pretty sure I’m relieved by that… I picked a few of the characteristic animals of Oregon, Washington and Western Canada for this activity. Animals like black bears, elk, sea lions… To make the prints, simply paint as I’ve shown on The Babe’s hand and press on the paper. Some needed an extra finger print to get the paw pads lined up appropriately. And some of the flipper-ed prints work best with a rubber glove over the hand to help create the web, but you could also paint that in. We added brush stroke claws to the sharper fingered animals, too. While we were painting, I told her a little bit about why each animal’s foot helps them in their daily life. Experimentation was half the fun of this. The Babe was a tad little to get any accuracy from the prints on her own, so I painted her hands and had her press them on the paper. 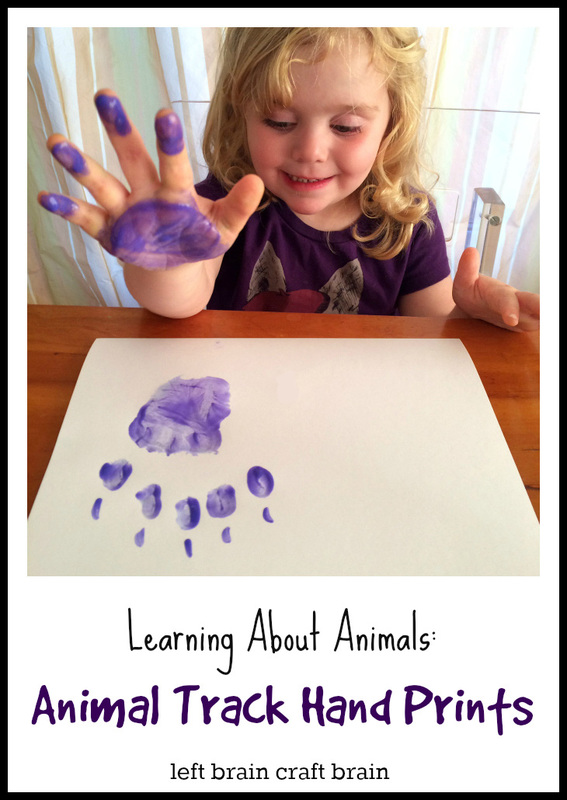 Then she painted my hand and I printed (you can see the Sea Lion is a mom hand…). Bigger kids could do it all on their own… You could also extend this activity across the Animal Kingdom. This was the Pacific Northwest edition, next up, a farm edition or jungle edition. While you’re at it, check out my All About Animals board on Pinterest. 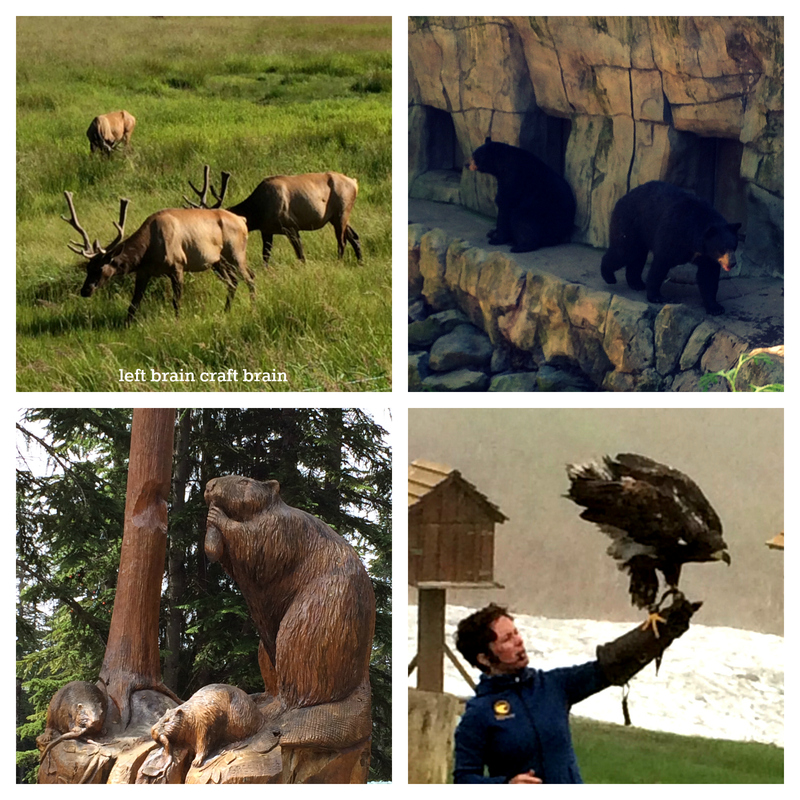 You can learn more about the animals of the Pacific Northwest and the rest of the world. 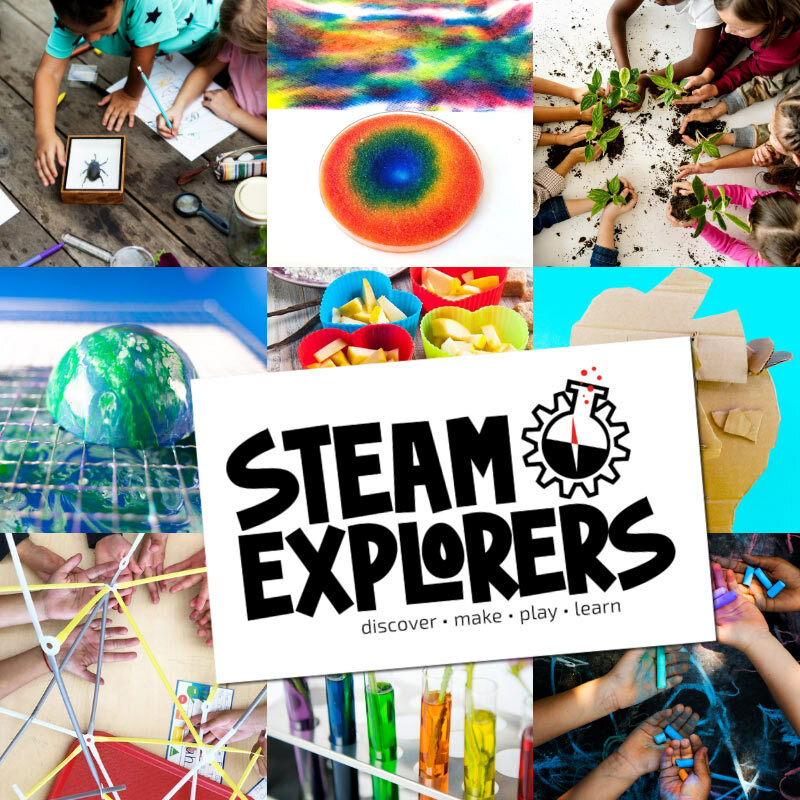 I love that this activity is educational and crafty all at the same time! Thanks for sharing! Wonderful – just love these, and thank you for joining in with our #getyourcrafton too! Great ideas! I have an animal science kit and always wondered how we would do the animal track part without animals. Now I know! LOVE this activity and featured it in our Playful Preschool Planner this week. Will be making these prints with the kids soon! So glad you love it!! Thanks for the share. Oh, what a great activity!! Thank you for sharing at Sharing Saturday! My students love this. They are now making animal tracks that go all through the classroom.